Future Internet (FI), a dynamic and complex environment, imposes management requirements, complexity and volume of data which can hardly be handled by traditional management schemes. Autonomic network and service management can be a powerful vision; a promising solution paving the way towards fully autonomic systems provides a three-level management approach and develops Information Modelling extensions for semantic continuity. 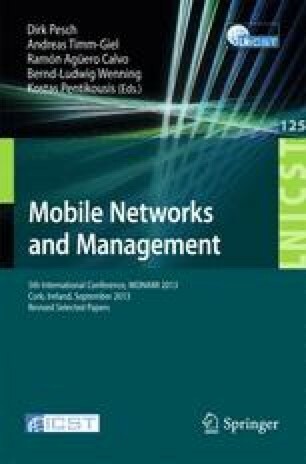 This paper aims at proposing an Information Model for abstracting autonomic mechanisms for network management tasks and convincing on the relevance of using/extending standardized information models for system specification.